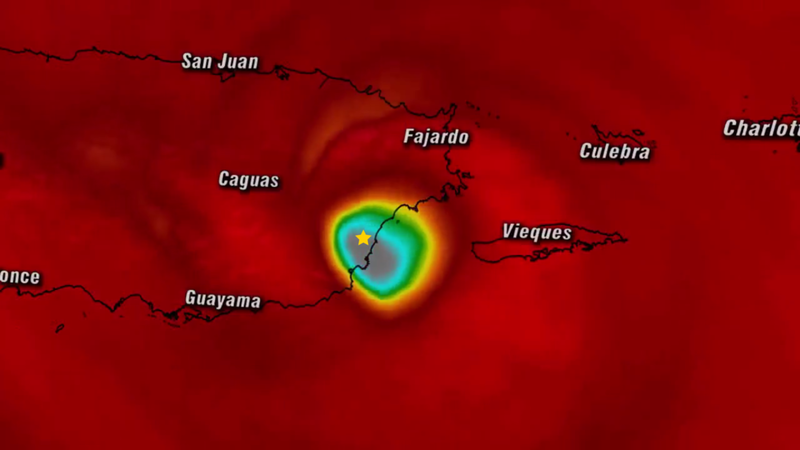 Hurricane Maria is the most powerful storm to make landfall on Puerto Rico in nearly a century, and the second Category 4 storm to hit the island in 2 weeks (Hurricane Irma, 9/6). Our animal sanctuary, El Faro de los Animales, is located in Humacao on the east coast. They suffered a direct hit. Please help us provide the resources they desperately need to begin rebuilding. Flash floods and mudslides are major threats in many areas, as rain continues to fall on already swollen rivers and unstable hillsides. A nightly curfew is in place for residents due to unsafe conditions, and the airport will likely remain closed through Saturday. Any retail stores that survived the storm are mostly out of critical supplies, including generators, gas, flashlights and water. Island resources are scarce, and residents have little means of communication. The damage to Humacao, where our shelter is located, is extensive. Most roads are completely washed out and power lines are scattered everywhere. Luckily, the shelter was mainly evacuated, but it is too unsafe and damaged for staff to return and bring the animals back. With no roof, no terraces and no electricity, El Faro is unable to provide a safe place to stay. The little communication we have received tells us it is a total disaster zone. We will update this page with all the info we get, as it comes in. For now, please stand with us in remaining hopeful that we can rebuild. You can donate to our Disaster Relief Fund via any of the below. If you prefer to contribute by check, they can be made payable to Animal Lighthouse Rescue and mailed to PO Box 30349 New York, NY 10011 - ALR is prepared to match every donation dollar-for-dollar (up to $40,000) with the goal of raising $100,000 for relief efforts. THANK YOU - A Lighthouse shines brightest when the night is dark, and is needed most when the sea is rough. With your support, we can be the beacon of hope the shelter, our staff and the island's satos need.